AU $62,000	Now reduced Need Finance? 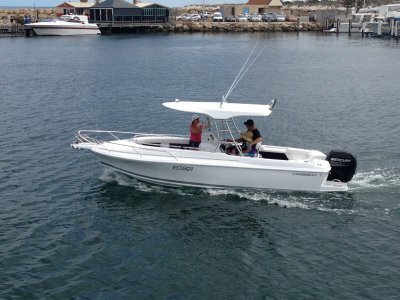 Mansfield Marine Hillarys and Fremantle	Need Insurance? AU $62,000	Now reduced Need Finance? Need Insurance? 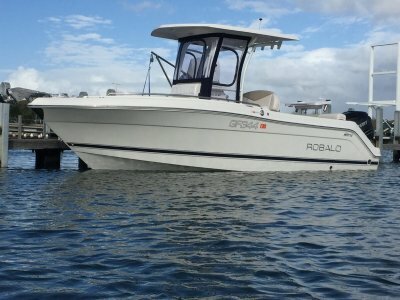 CARIBBEAN's offshore bluewater able, sporty performing "ADVENTURER 19 " is available immediately from Mansfield Marine, WA's Caribbean dealer. 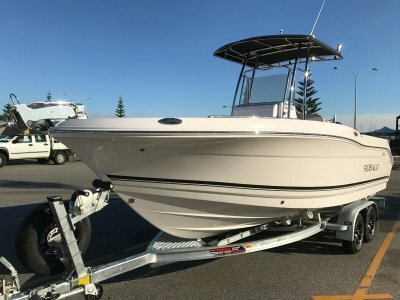 Would you like to have complete confidence knowing that 50 years of boat building experience has gone into the buiding your boat? Then see for yourself what its like to own and enjoy what a CARIBBEAN has to offer! Heaps of deck space, stylish lines and function in a very nice package, all decked out and ready to roll on a Makay premium tandem trailer! Towing? 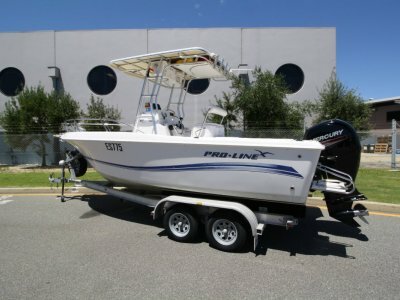 Hull weight is 750kg, plus engine 172kg, trailer 495kg, fuel 140kg, brings the total package way under the 1999kg. 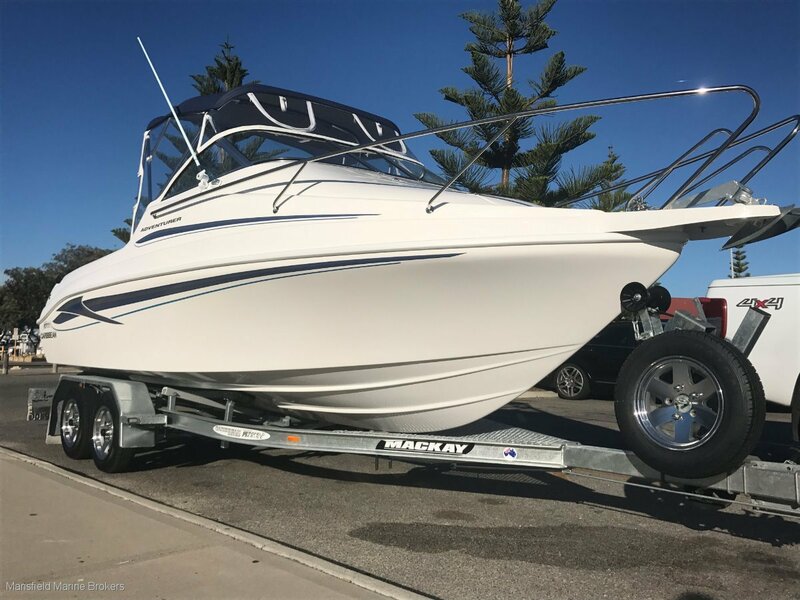 * Quality Mackay MLKR style trailer (Australian Built) long lasting "I" beam galvanised steel trailer with alloy wheels, including spare wheel & bracket, "A" frame walk mesh, keel rollers and carpeted bunks, upgraded Fulton heavy duty Jockey wheel. * Seat sliders to both passenger and drivers helm seats. * Bimini canopy set up with blue canvas roof plus quality side clears. * 2 x quality Rod holders fitted at present, we can add more if you wish at an extra of $90 each including fitting. * Additional stainless steel grab rails fitted one to port side dash above built in glove box and the other to the port side on the transom. Beat the waiting list that salways assocated to buying a CARIBBEAN with this immediately available display boat! Call Travis Mansfield on: 0419 911 560 to arrange inspection.